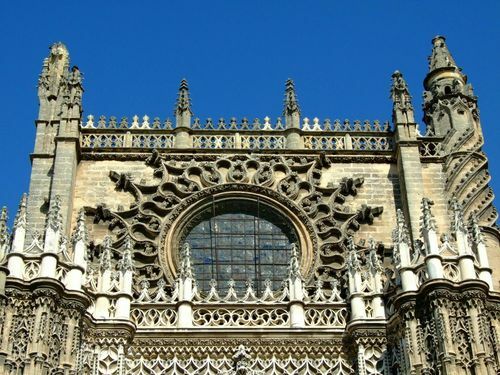 Five years after construction ended, in 1511, the dome collapsed and work on the cathedral recommenced. The dome again collapsed in 1888, and work was still being performed on the dome until at least 1903. The 1888 collapse occurred due to an earthquake and resulted in the destruction of "every precious object below" the dome at that time. 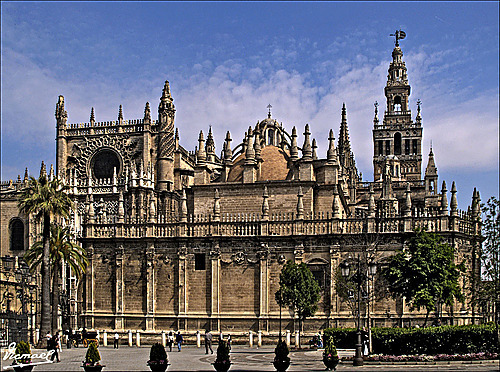 The Giralda is the bell tower of the Seville Cathedral in Seville, Spain. 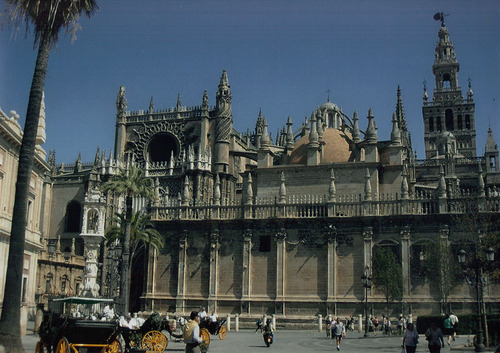 It was originally built as a minaret during the Moorish period, with a Renaissance style top subsequently added by Spaniards.